They are inseparable on the weekends! Awww, that’s a big, friendly looking dog. Happy Monday! He looks like a pretty happy doggy! Such a sweetie, a happy sweetie! Awww, they are ever so precious and loyal. What a good looking pup. 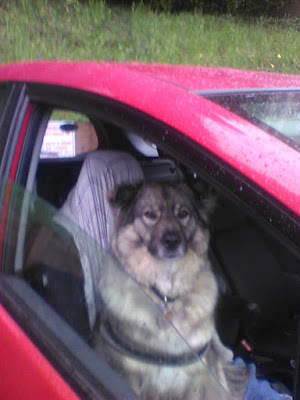 The dog looks ready to drive the car. Looks like that sweet Kahneetna is ready to go for a drive - awww, too sweet! He looks happy and laid back.